A screen capture from "National Lampoon’s Vacation"
The new Vacation movie will be hitting theatres next Wednesday. The film, which is more like a sequel but is being marketed as a reboot, centers around a grown up Rusty Griswold (Ed Helms) and his desire to recreate the cross country road trip to Walley World that he took as a child in 1983’s National Lampoon’s Vacation. The new film stars Christina Applegate as Rusty’s wife and Leslie Mann as Rusty’s sister. 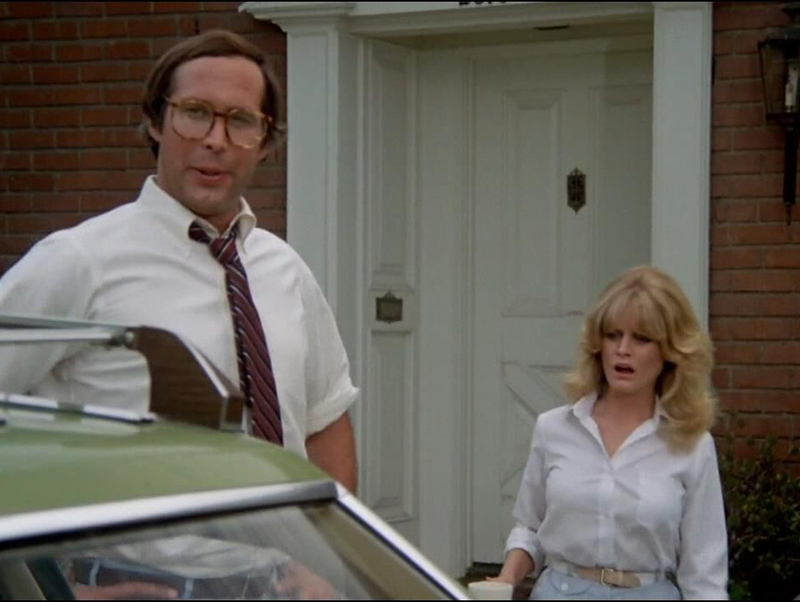 Chevy Chase and Beverly D’Angelo make cameos, reprising their roles as Clark W. Griswold and his wife, Ellen. I thought the move to recreate National Lampoon’s Vacation was sacrilege at first, but the preview had me laughing out loud. Disappointingly, Vacation was shot mainly in Georgia. In this installment, Walley World’s played by Six Flags Over Georgia. Because National Lampoon’s Vacation is one of my all-time favorite comedies, I have done quite a bit of research on its filming locations over the years. Many of them can be found in L.A.
Glendale Dodge Chrysler Jeep, located at 900 South Brand Boulevard in Glendale (just north of Chevy Chase Drive, coincidentally) is where Clark and Rusty (Anthony Michael Hall) pick up their new metallic pea Wagon Queen Family Truckster. Amazingly, the dealership still looks very much the same today as it did onscreen in 1983. The “St. 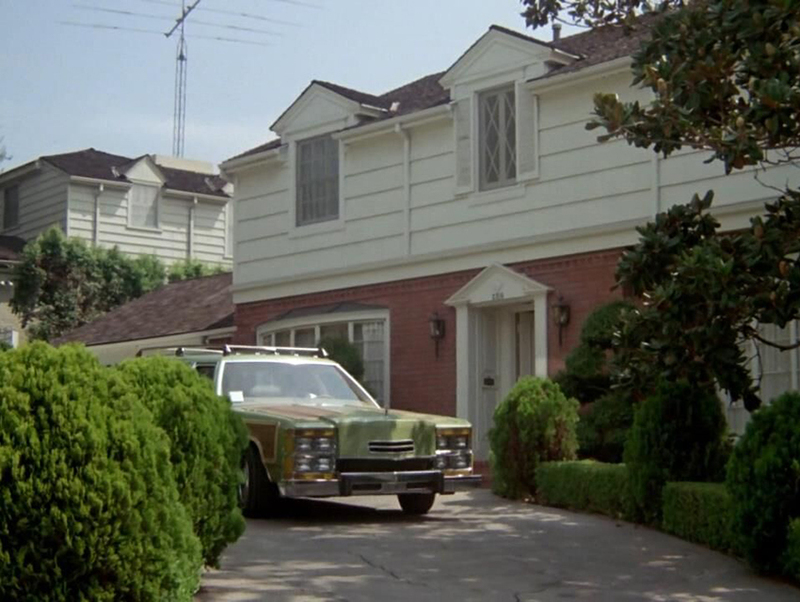 Louis” street where the Griswolds encounters some troublemakers who steal their hubcaps and add some choice graffiti to the Truckster is actually the northern end of Hennesy Street on the Warner Bros. back lot. And Clark skinny-dips with Christie Brinkley at the Guesthouse International Hotel at 12500 Firestone Boulevard in Norwalk. The location I was most excited to visit, though, was the Griswold family home. 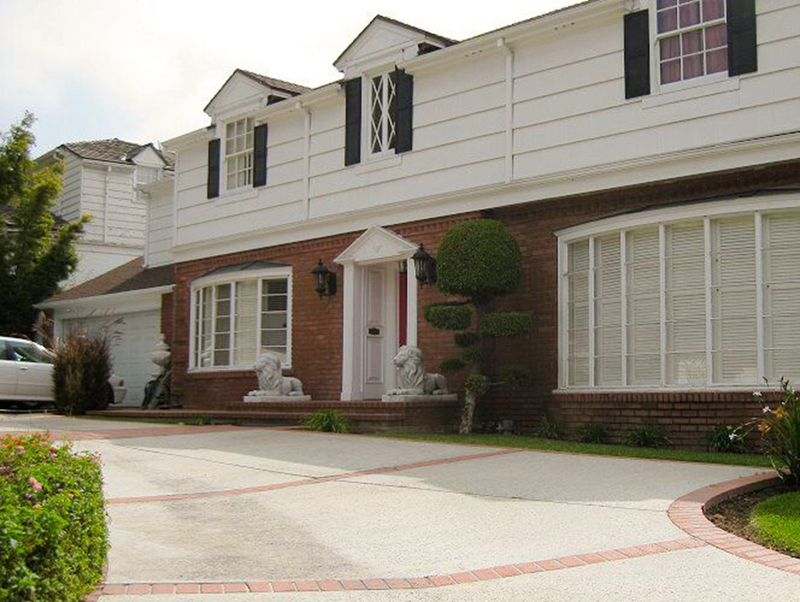 Set in Chicago, the white clapboard and red brick residence is actually located at 2310 North Vermont Avenue in Los Feliz. Despite the addition of a fence, it still looks almost exactly as it did in National Lampoon’s Vacation.